August is a vacation month for many but also a productive month for others. The latter applies to Desmond Photographic Distributors, who chose this month to introduce their first low-budget but sturdy Tilt / Monopod Head. The DMH-1 follows the usual to date Desmond concept, of a sturdy structure in good finish accompanied by a low price tag. 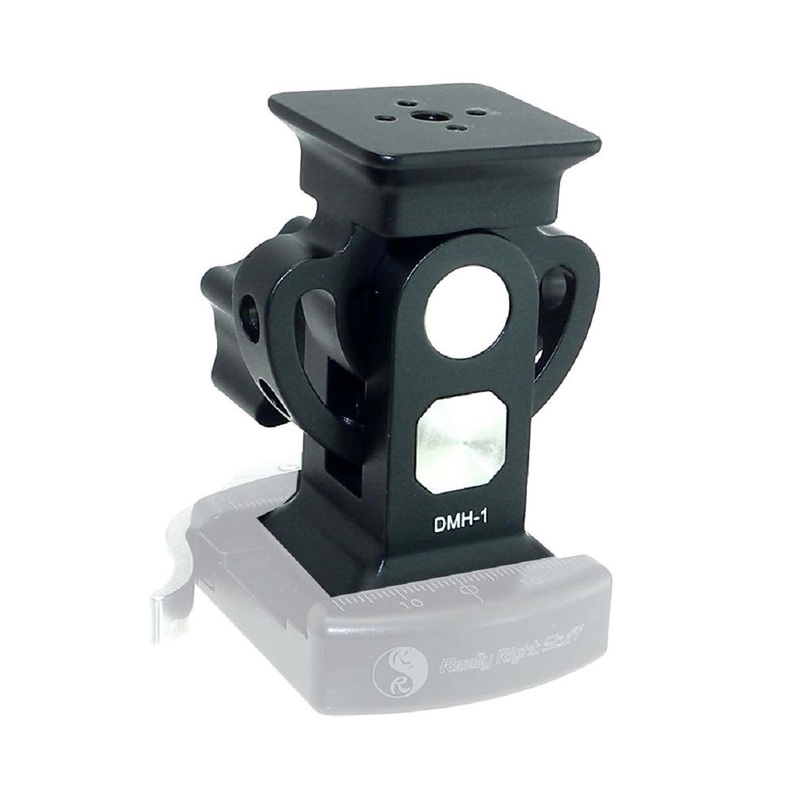 The design is modular and the head can be purchased stand alone or combined with one the most popular Desmond quick release clamps. The DMH-1 follows a simple design, resembling a pillar with a Doric order headstone. The top platform and the foot are rectangular 38 X 38 mm ending in an Arca-Swiss® and RRS®-lever compatible dovetail. The structure is of Aerospace grade Aluminium, stainless steel axles and no other plastic or rubber parts than the Teflon breaks of the tilt mechanism. The top platform with its dovetail may accommodate a double subtend QR clamp like the Desmond DBC-50 50mm Dual Subtend QR Clamp for those in need of a quick re-orientation of the clamp jaw axes in relation to the tilt axis. 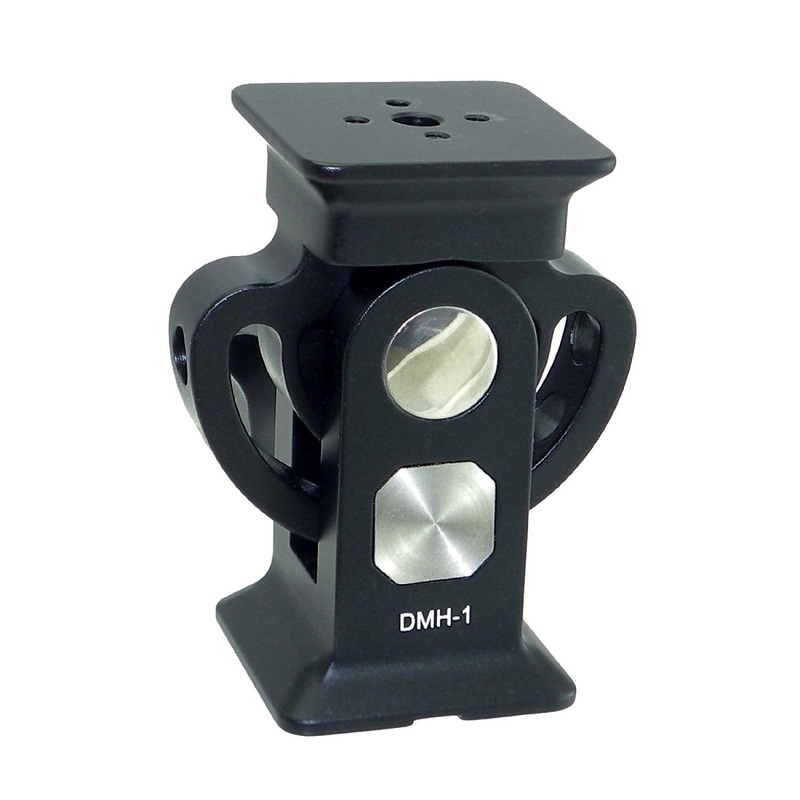 Otherwise, DMH-1 has a center M6 threaded hole for direct mounting any Quick Release clamp, plus four M3 threaded holes which combined with two of the included M3 screws play the role of dowel pins for the re-orientation of the screw-on clamp by 90°. The Main Lock Knob is also made of Aluminium and quite large for a very secure grip and five wings that allow for appropriate tightening. The single tilt lock arch is thick to avoid lateral play but features some holes on the perimeter which lower the weight further down to 193 gr ! 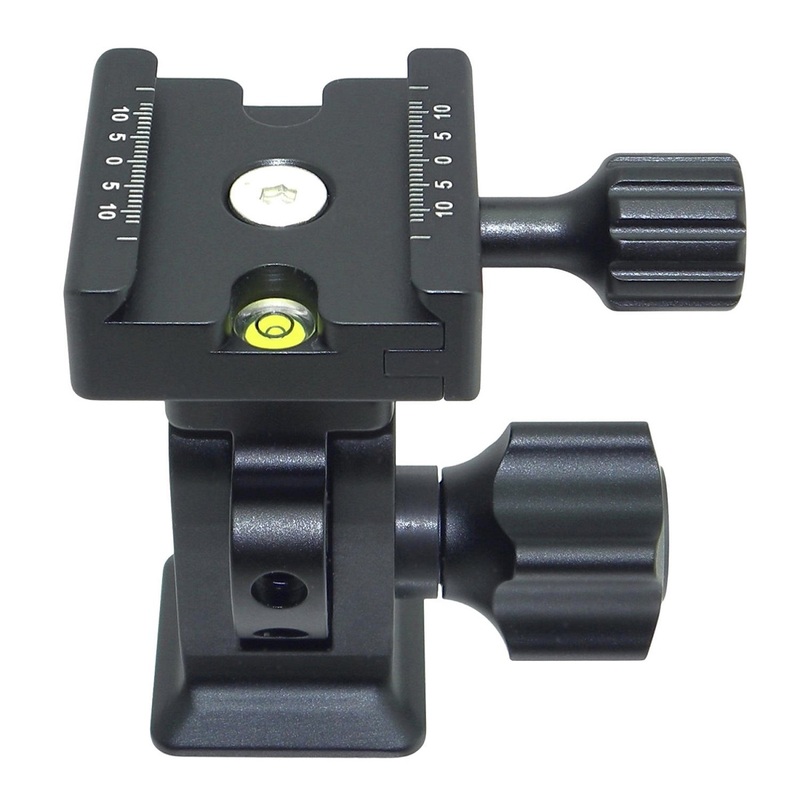 The lower head foot features a center 3/8"-16 thread mounting hole, easily converted to 1/4"-20 via the included metal bushing so it can be mounted on top of a monopod with either size stud. Along the center mounting hole exists an anti twist groove alike the ones on the bottom of a QR clamp. Anyhow, this is in excess as I don't see the use of mounting a tilt head on a ball head. 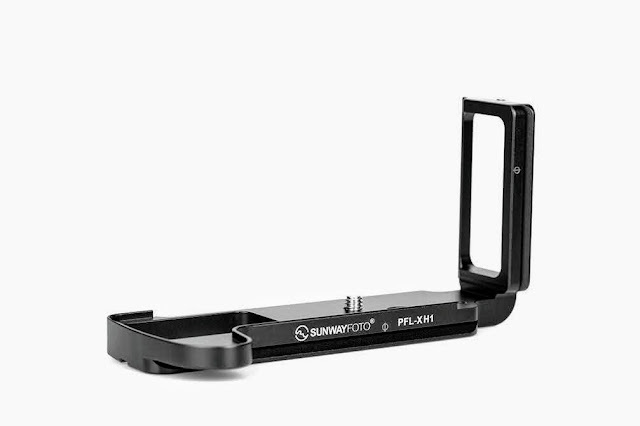 On the other hand there exist two M3 tapped holes near the edges for mounting two of the included M3 safety stop screws when using the tilt head on a QR clamp as with possibly a Gimbal head. The rectangular dovetails both on top and bottom mentioned in the beginning enable bi-directional mount of Arca/RSS style clamps either way on the tilt head. 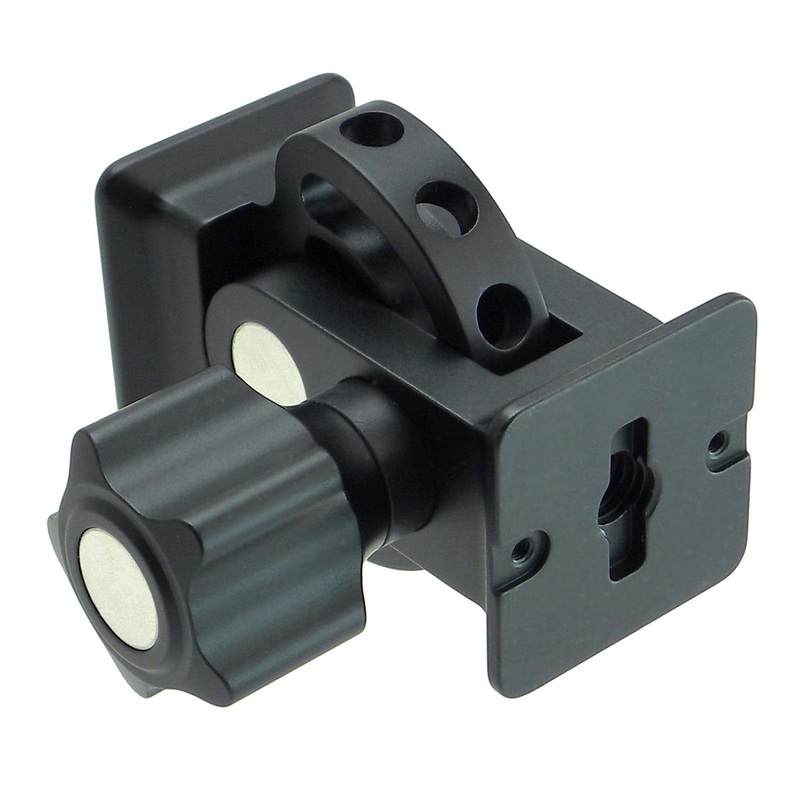 And as we can see in the photo above, the DMH-1 dovetails are also Fully compatible with RRS® Lever Clamps. 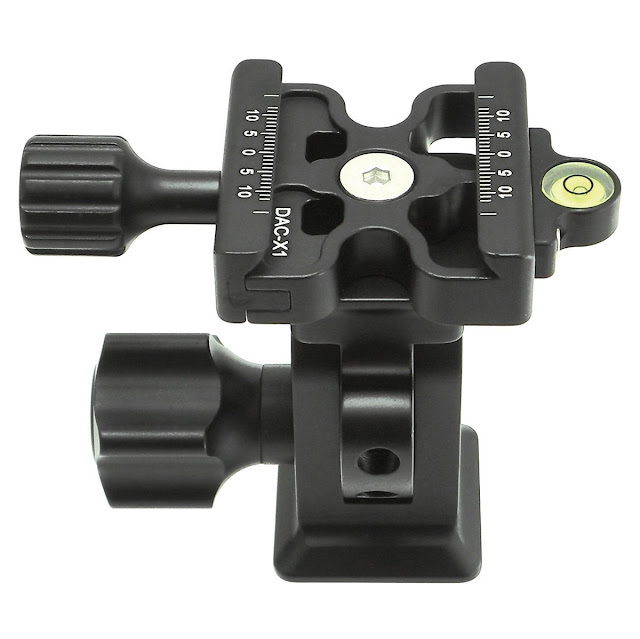 Besides the Desmond DMH-1 + DAC-X1 Skeleton QR Clamp combo illustrated in the photo in the beginning of the article, there is also another combo available with the very popular DAC-1 QR clamp. Both QR clamps can be rotated by 90° increments in the desired position by the user. 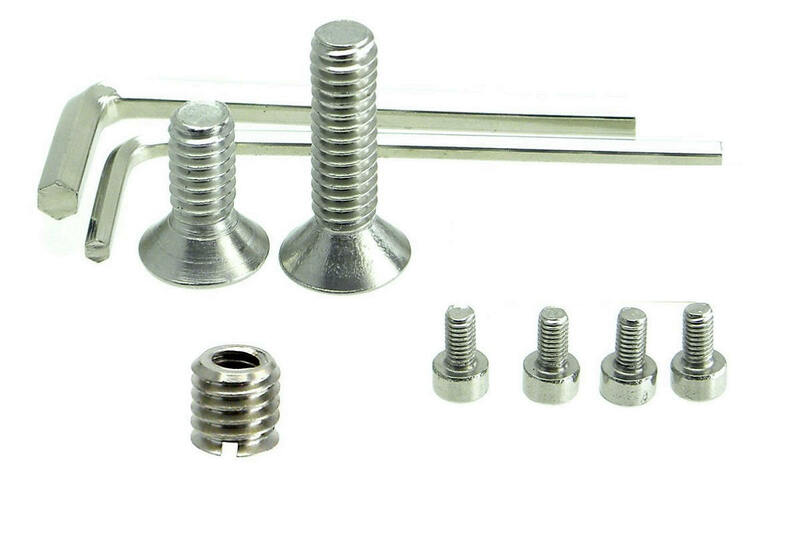 Besides the forementioned 3/8"-16 to 1/4"-20 metal conversion bushing, the tilt head is accompanied by 4 X M3 safety stop screws which also serve as dowel pins for mounting the top QR clamp in 90° increments, one 1" (25mm) long and one 5/8" (15.7mm) long M6 mounting screws and the appropriate 2 sizes of Allen hex wrenches. Having tested one of the DMH-1 prototypes sometime ago, I have a hands on opinion about the operational smoothness and the functionality of the design. As I had also suggested some design refinements which I see present on the final product, I will have a better picture after I review it in depth. 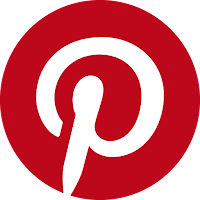 I hope this will come sometime soon. All Photos © 2014 Desmond Photographic Distributors.